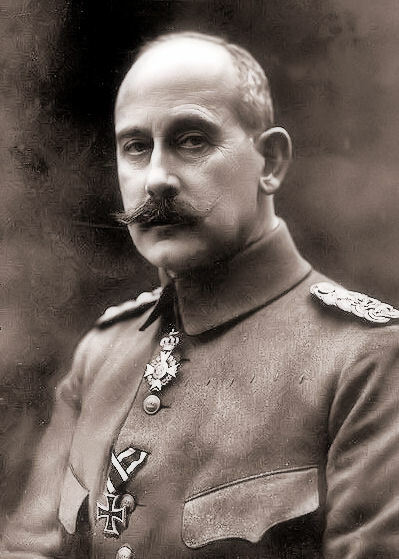 The German government of Chancellor Maximilian of Baden spent most of October 1918 attempting to work through President Woodrow Wilson, to negotiate an armistice based on his Fourteen Points. Some historians hold the opinion that Germany's leaders didn't give the Fourteen Points a very close reading. In any case, they most certainly lacked familiarity with the Principles, Ends, and Particulars with which Wilson had supplemented his standards for peace throughout 1918. I. Each part of the final settlement must be based upon the essential justice of that particular case and upon such adjustments as are most likely to bring a peace that will be permanent. II. Peoples and provinces are not to be bartered about from sovereignty to sovereignty as if they were mere chattels and pawns in a game, even the great game, now forever discredited, of the balance of power. IV. All well defined national aspiration shall be accorded the utmost satisfaction that can be accorded them without introducing new or peculating old elements of discord and antagonism that would be likely in time to break the peace of Europe and consequently of the world. I. The destruction of every arbitrary power anywhere that can separately, secretly, and of its single choice disturb the peace of the world; or, if it cannot be presently destroyed, at the least its reduction to virtual impotence. II. The settlement of every question, whether of territory, of sovereignty, of economic arrangement, or of political relationship, upon the basis of the free acceptance of that settlement by the people immediately concerned, and not upon the basis of the material interest or advantage of any other nation or people which may desire a different settlement for the sake of its own exterior influence or mastery. III. The consent of all nations to be governed in their conduct towards each other by the same principles of honour and of respect for the common law of civilized society that govern the individual citizens of all modern states in their relations with one another; to the end that all promises and covenants may be sacredly observed, no private plots or conspiracies hatched, no selfish injuries wrought with impunity, and a mutual trust established upon the handsome foundation of a mutual respect for right. IV. The establishment of an organization of peace which shall make it certain that the combined power of free nations will check every invasion of right and serve to make peace and justice the more secure by affording a definite tribunal of opinion to which all must submit and by which every international readjustment that cannot be amicably agreed upon by the peoples directly concerned shall be sanctioned. I. The impartial justice meted out must involve no discrimination between those to whom we wish to be just and those to whom we do not wish to be just. It must be a justice that plays no favorites and knows no standard but the equal rights of the several peoples concerned. II. No special or separate interest of any single nation or any group of nations can be made the basis of any part of the settlement which is not consistent with the common interest of all. III. There can be no leagues or alliances or special covenants and understandings within the general and common family of the League of Nations. IV.There can be no special selfish economic combinations within the League and no employment of any form of economic boycott or exclusion except as the power of economic penalty by exclusion from the markets of the world may be vested by the League of Nations itself as a means of discipline and control. V. All international agreements and treaties of every kind must be made known in their entirety to the rest of the world. I agree with Doug Fisher. The comparison of "America First" of 2018 with Wilson's principles for a peaceful world in 1918 is stunning.